Just picture it. You have your homeschool day all planned out. It isn’t too much, but enough to challenge your kids. 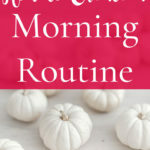 You start with a nice breakfast and try to do all the things the “experts” say you should do in order to have the picture perfect homeschool day. But then, your youngest goes on a tear through the house destroying everything in her path, your son definitely woke up on the wrong side of the bed and feels like homeschool shouldn’t be mandatory, and the big emotions of your tween all of a sudden are too much to bear. You start to lose your cool, and your own big emotions start to overwhelm the day mixed with all the others. What happened to that perfect homeschool day? How did it fail so terribly and so quickly? 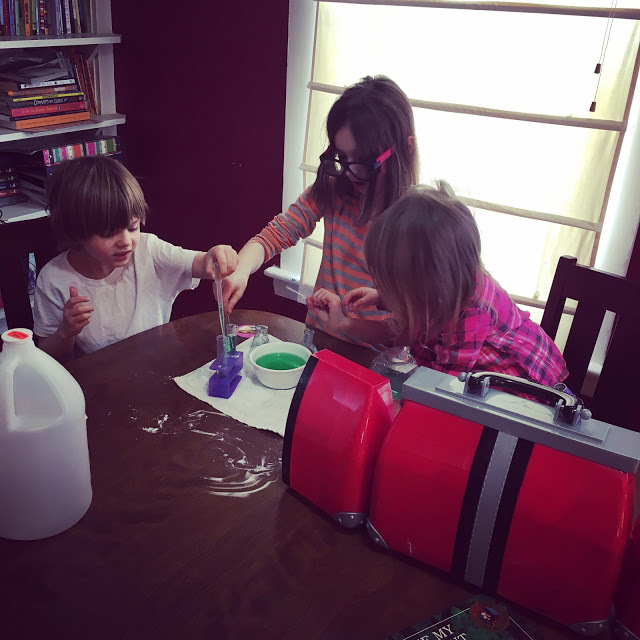 Big emotions can completely derail a homeschool day, or any day really. When your kids’ big emotions start to derail the day then your big emotions also start to get involved. Why can’t they understand that school needs to be done, and it needs to be done now? Your kids are so well behaved when you go out of the house (most of the time). How are they so well behaved outside of your home, but at home, it is a completely different story? Let me put it another way. When you leave your home, do you have emotional outbursts? No, you don’t. But at home, do you lose your cool? Yes, sometimes you do. Your home is your haven. It is also the haven for your kids. They feel comfortable at home, and so when they are home, they feel free enough to have those outbursts. How you react to those outbursts will determine how the rest of your day goes. Seems unfair, doesn’t it? Your kids have big emotions because they are kids and growing. 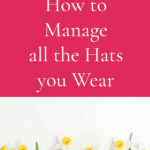 There are so many changes and stages that their little bodies go through that when you think you have a handle on one thing, you end up having an entirely different problem to deal with. But, how you react to those emotions will set the tone. When your child starts to have a meltdown for whatever reason, how do you react? Do you bring fire to the party and use your words to try to get them to comply? Do you stay mostly silent while they continue an outburst, but can only hold it in for so long? Or do you stop the school day and try to figure out why that child is having the outburst to begin with? If you react negatively, it will exacerbate the situation. Believe me. It happens to the best of us! I can only handle so many “I don’t want to read this book,” or “math is soooo boring!” before I lose my cool. “Don’t you realize how lucky you are! We are able to finish our school in a fraction of the time it takes your friends to finish their school day!” Apparently, that doesn’t matter to my kids. They want a break, and they know if they knit pick long enough, I will end up throwing in the towel because they have worn me down. Does it happen to you too? It is easy to jump to those negative reactions because in your mind it is so easy to complete the work that you have laid out. Why don’t they get it!? Now I want you to picture this. What if instead of having a negative reaction when your child, for the 47th time, has a fit about that book that he is reading, you stop and look the child in the eyes, and ask what is wrong? Listening here is where you will deflate the big emotions. You will be able to start to understand why they are having these feelings. Is it because the school work is too hard? Is it because school work is boring? Do they need more time to move around? Are they hungry? Are they tired? What if you were any of those things? What happens when you are hungry or tired or feel like a project is too difficult to work through? Usually, we have to take a step away, we recognize these feelings and adjust accordingly. If you are hungry, you get a snack. When you are tired, you rest (or try to go to bed a little earlier!). If a project is too difficult, you try to rework it, or ask for help to make it easier. All of these solutions come to us easily, because we recognize the feelings. But, your child is not aware of the specific feeling that is making them react with such big emotions. Instead, they get overwhelmed, and blow up – they don’t have the tools yet to manage those emotions. That is OK! That is part of the parent’s job, creating strategies to deal with the big emotions of our kids. We want our kids to comply with homeschooling. They need to because that is how we, as the parent, have chosen to educate them. However, we also need to give the kids the tools to use to overcome these big emotions. When your child starts to have a meltdown, the first step is to stop everything. I know it seems counterintuitive. You want your child to finish their school work, but if you continue to plow through, you will have more than the big emotions to deal with. Hurt relationships and bitterness will creep in, and that is not where we want to go. If you see that your child is having a hard time, ask them what is going on. What is it that is so difficult? You may find out that it has nothing to do with the school work at all. It could have been a fight with a friend, or dwelling on not being able to beat a certain boss in a video game, or it could be that they just need a snack! The first step is to ask. Maybe the curriculum is too difficult, or perhaps your child has been completing math lessons well, but still doesn’t understand the concepts, or knows the math facts. So when they move to more difficult concepts, it is hard to keep everything straight. Is the type of curriculum you are using working out? It could be that your middle guy doesn’t learn the same way your type A oldest does, and they need more hands-on work. Or are your expectations too high? Do they need to complete a math lesson every day? Should you slow it down? Once you have an understanding of what the problem is, you can then create a solution to that problem. Will you have to dig deeper? That is a good possibility. Your child may not know that they are hungry. Do you remember when your kids were infants? There were a certain number of steps that you would go through when trying to decipher what the issue was when your baby would start to cry. Are they hungry? Do they need their diaper changed? Are they tired? Do they need comfort? You would always go through these same questions until you started to understand what the baby’s cries meant. It is the same thing with our older homeschoolers now. We need to go through the same type of list. Are they hungry? Offer a snack. Are they tired? Maybe some quiet time to read or listen to music or just play alone is what they need. Do they need comfort? Have they been having difficulty fitting in at an extracurricular, or maybe had a fight with a sibling? Offer to sit and listen to them talk about whatever they feel they need to talk about. Sometimes, they just need you to fill up their love tank, and things will be better. Open communication is how you will be able to decipher the different stresses your child faces each day. I am notorious for trying to push through. Let’s just get through this one thing so we can move onto the next thing. But, sometimes, what everyone needs is a break. Are you trying to plan so much that your student is completely overwhelmed? I know that it is easy to try and overcompensate. We want to make sure that our children are getting the best education. Homeschooling takes so much LESS time than public school that we start to add in extra. We have the time, why not? Let’s make sure our kids are ahead, and not behind! Add in just a little bit more. While it might be okay to add in some things since we do have the extra time, we can’t add in all the things. It just isn’t possible. You may think it is possible purely by loving the curriculum yourself. But, you must remember that your kids are all learning these concepts for the first time. Think about that. When you go through subjects, most of the time there is some glimmer in there of something you had learned before (except history, I feel like I must have missed most of history in public school!). But, these are all new ideas to your student. And that can bring frustration. When they don’t understand a concept, but you think they should have absorbed by now and you add in more, it brings out those big emotions. What should you do then? Just take a break. It isn’t going to hurt anything to step back from a subject that is causing strife for a couple of days. If it is Math, find out what the struggle is. Is it reading? Are the books not exciting enough? Let them choose a book to read for fun instead of assigning another historical fiction book. This one might seem like a stretch. But, what is the worst thing that would happen if you gave your child the ability to make the decision about what he is doing that day? Julie Bogart, in her book Brave Learner, says to ask your child how many math problems they think they can do today. “But what if my child only says one problem? !” Then they do that one problem, and you cheer them on as they do it. Then ask them again the next day. At some point, they will surprise you and say five problems. What happens is that we are afraid to fall behind, we are afraid to let go of the schedule. Recently I started to let go of a 9am start time for school for our kids. 9am has been something we have done for many years, partly because the kids would get up before 6am (thankfully we have finally started sleeping in a bit in this house! ), but partly because I thought the best thing was to get started on homeschool early so that we could have our afternoons mostly free. 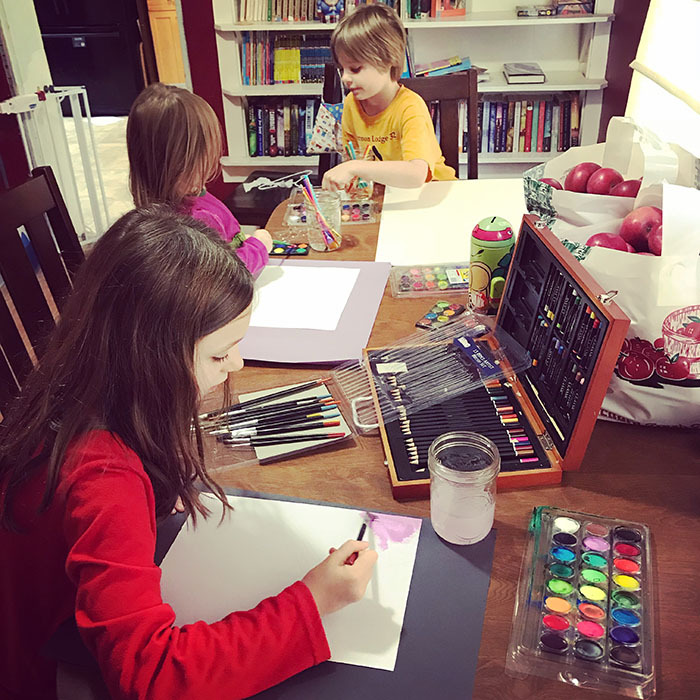 I noticed that my kids were less and less excited about starting school at 9 – and the reason was that I would interrupt them from projects they were working on. Passion projects for them. And usually projects that they were joyfully working on together, all three siblings, happy. So I started backing off. Sometimes they come down at 10 to start school and other times they will not start school until lunchtime, and other times still they start at 7am to just get their work done. They are still expected to get their school done, but I took away some of my need to control WHEN that school is done. I talked about that in my homeschool day in the life video below – I have it starting right at the point where I talk about this! Have you ever surprised your kids with a vacation? Or just woken up one morning and told them to gather up a few things in order to go on an adventure? Sometimes just getting out of the routine will help with the big emotions. Winter is notoriously difficult here in Maine. The weather is not great. We get a huge snow storm, followed by a warmup with lot’s of rain, just to then have below zero temperatures which turns everything into a big block of ice. The kids get stir crazy, I get stir crazy, and we just need to do something different. This will not be a cure-all for all the big emotions, but sometimes it helps to flip the rhythm on its head. I love to change our rhythm seasonally so the kids never settle into a routine that they find tedious and boring. That works for us because I actually thrive on change – I know most people do not. But, changing up the routine can help. So can a change of scenery. Perhaps you can take your kids to work at the library. Or maybe decide to put all the current curriculum away and work on a project together as a family. Find out something they are passionate about, and follow that interest for a while. It can be more work for you to try and tie together all the different subjects, but it can be a great way to increase your child’s confidence and help them start to own their education. 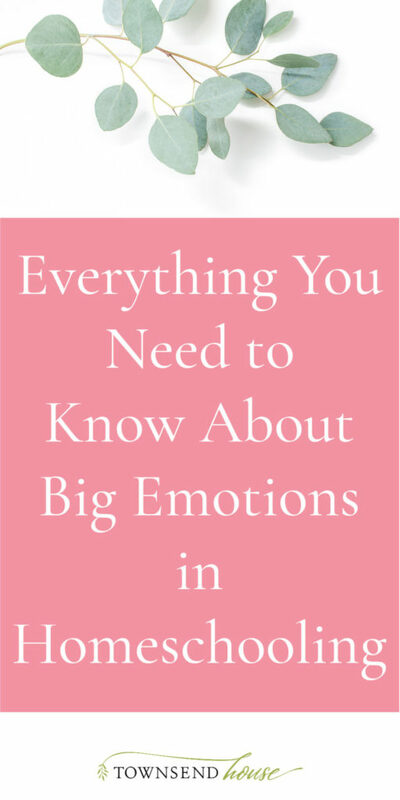 What about emotions that are too big? Sometimes the big emotions are too big for mom and dad to handle alone. That is OK. I will say it again, that is OK! If your child is really struggling, you need to get outside help. Talk to their doctor, figure out what is exactly going on. It isn’t bad to get help. You should not feel shame. I want you to know that getting help is the best thing. Sometimes you need the outside help, don’t worry about what others will think. Instead, think only of the fact that you are helping your child to thrive and want to move forward. 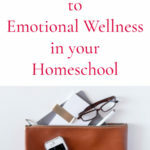 I will be talking about some of these big emotions, and homeschooling through crisis times with the Townsend House Community e-mail group. If you would like to receive those e-mails, you can sign up below. Sometimes we just need to take a step back and look at the big picture of what is going on. When you are in the middle of dealing with all the big emotions, you can’t always see what the root cause is. It can be incredibly frustrating to have to tell your child to sit down and do their math one.more.time. But, just take a step back. Take a breath, take a break, and re-evaluate what is going on in your homeschool. Use some of the tools that I have listed above and see if there is a change. And if not, you may need some outside help to figure out exactly what is going on. Get help when you need it. Know that you are not alone! All of our kids have big emotions, and we also have big emotions! 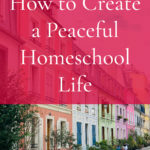 Let’s work together to cultivate simplicity in our homeschool and bring peace back into our lives. If this post is helpful to you, please share with your homeschool mom friends. I would love to grow our community so that we can all lean on each other in order to cultivate simplicity in our home and homeschool!